Iran’s regime is struggling to restore calm in the capital, after three days of protests against the regime that rocked central and symbolic areas, including the Bazaar and the parliament. 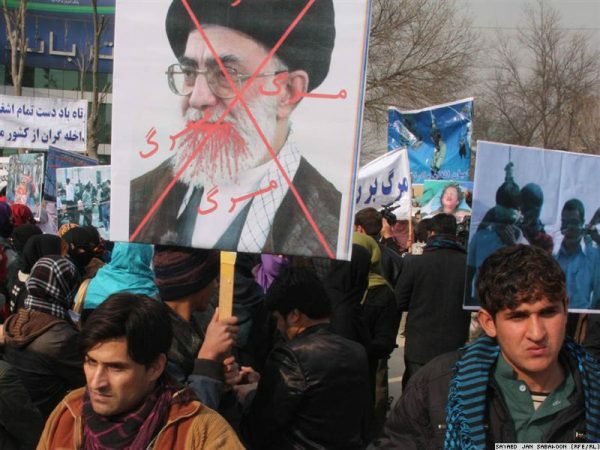 The protests have focused on the economic crisis in Iran and the feeling that the leadership is disconnected from the concerns of average Iranians. U.S. economic pressure on Iran is intended to turn Iranians against their government, Supreme Leader Ayatollah Ali Khamenei was quoted as saying on Saturday by his website, as Iran faces a likely reimposition of U.S. sanctions. “They bring to bear economic pressure to separate the nation from the system … but six U.S. presidents before him tried this and had to give up,” Khamenei was quoted as saying by Khamenei.ir, referring to U.S. President Donald Trump. Ayatollah Ali Khamenei is disconnected from the concerns of average Iranians. Someone must be blamed for the protests against the regime that rocked lately the central Tehran and symbolic areas, including the Bazaar and the parliament. Khamenei; “They bring to bear economic pressure to separate the nation from the system … but six U.S. presidents before him tried this and had to give up,” now it’s not the presidents that creating the economic misery in Iran. Iran’s regime is spending more money on Syrian civil war and arab allies, than on average Iranians. An Iranian revolution is way overdue. Mullahs are some of the most unfit POS that ever tried to manage a country. Mullahs are already threatening their population with execution if they protest. I can’t wait to see them dragging the lot of them through the streets and hanging them the same way they have hung so many thousands of Iranians. Power to the people to take their country back from the mullahs that have held them hostage for the last 40 years. You can digest the news about the Iranian security forces killing protesters after demonstrations erupted for a second day in the southwestern city of Muhammarah, but how you will explain when world Cup spat turns deadly (and that in Lebanon) as fan killed after Germany match? On Wednesday, Mohamad Zaher was stabbed to death for merely celebrating the victory of his favorite team – Brazil – in a knock-out match. According to security officials that spoke with DW on the condition of anonymity, at some point Mohammad also vocally berated the German players for their unconvincing performance that evening against South Korea. Police say his criticism of the German team provoked two Germany fans, Shafik Shams and Hussain Braytee, who were mourning the German team’s exit from the tournament, barely a few meters away from the cafe. An argument ensued and before anyone could make sense of it, the altercation turned violent. The dissatisfaction with Iranian Mullahs due to the Syrian civil war is growing. Now you find dissatisfaction with Syria in Turkey too. In Turkey, today, there are several million Syrians. Dissatisfaction in Turkey has grown, and now voices are being raised to send home the Syrian refugees. 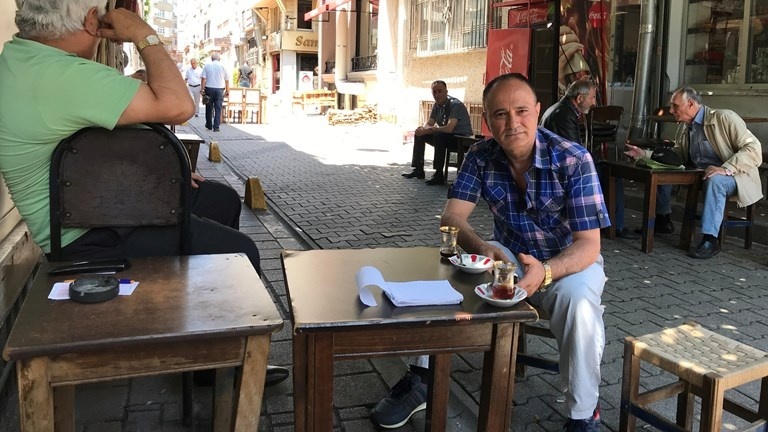 Normally, a Turkish cook gets 150 lira a day, but a syrier can work for only a third a day, says Mustafa Yilmaz, who is unemployed. 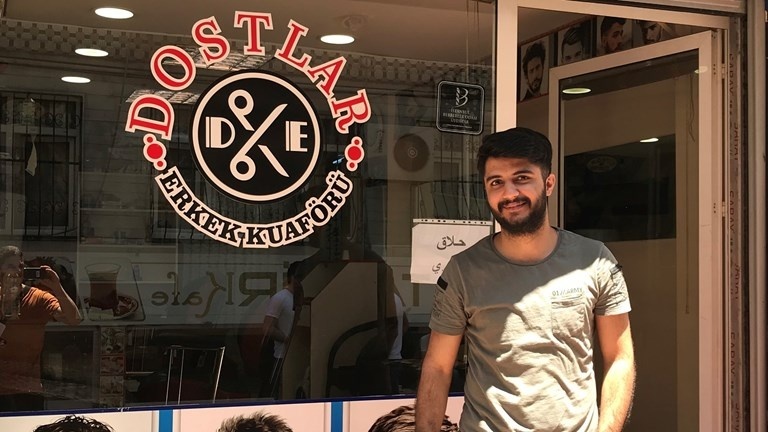 Sirwan Mohammad Ali works at a hairdressing salon in the Aksaray district, low-cost workplaces, where many of Istanbul’s syria live. https://uploads.disquscdn.com/images/79ab14b11dd40067dfb95b6fc8b7d1723b96153176d802bc7ad11e9cbe6b7972.jpg Although very few were allowed to vote, many Syrians here followed the Turkish presidential election last weekend with interest – not least because several of the Erdogan challengers had a hard rhetoric against the Syrians in the electoral movement and talked about sending them back. “Most opposition parties want to send us back so we were good at Erdogan winning, he has no problem staying here,” says Sirwan Mohammad Ali. Will you find dissatisfaction with Syrians in Lebanon too? Iran is trying to find ways to counter expected US economic sanctions, states the state news agency Irna. At the same time, US President Donald Trump’s lawyer Rudy Giuliani says the end is close to Iran’s leader. An Iranian general on Monday accused Israel of manipulating weather to prevent rain over the Islamic republic, alleging his country was facing cloud “theft,” before being contradicted by the nation’s weather chief. “The changing climate in Iran is suspect,” Brigadier General Gholam Reza Jalali, head of Iran’s Civil Defense Organization told a press conference, semi-official ISNA news agency reported. Former president Mahmoud Ahmadinejad in 2011 accused Western countries of devising plans to “cause drought” in Iran, adding that “European countries used special equipment to force clouds to dump” their water on their continent ???? ???? ???? A married couple with Iranian heritage was arrested “just in time” in Belgium as they allegedly prepared to head to France to bomb a large rally that an Iranian opposition group held over the weekend, authorities said Monday. The Belgian citizens were charged with “attempt at terrorist murder and preparing a terrorist crime” against the group, the Mujahedeen-e-Khalq. U.S. President Donald Trump’s personal lawyer, Rudy Giuliani, was among the speakers at the Saturday rally in the French town of Villepinte near Paris. Investigators who stopped the couple Saturday and searched their car found about half a kilogram (more than a pound) of TATP explosives and a detonator, federal magistrate Eric Van der Sijpt said.